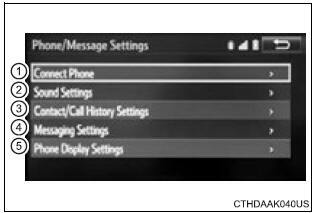 To display the screen shown below, press the "setup" button, and select "phone" on the "setup" screen. 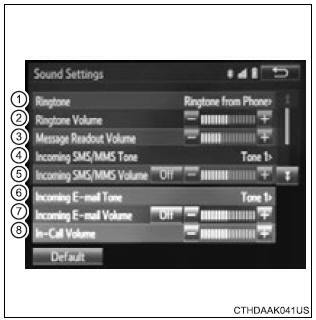 Select "sound settings" on the "phone/message settings" screen. Adjust the default volume of the other party's voice.